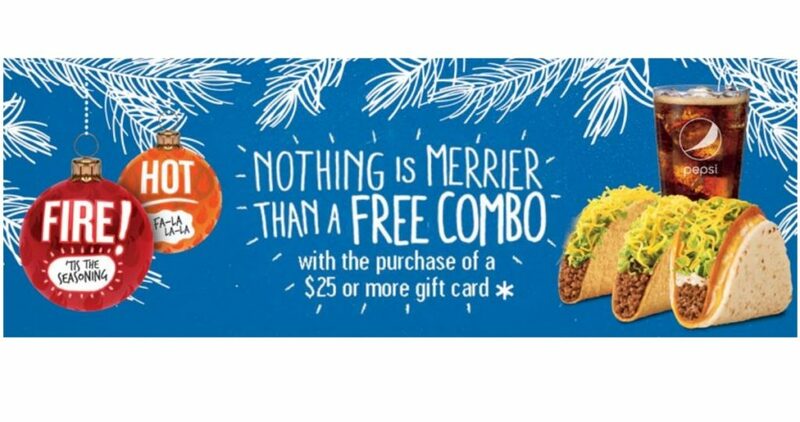 For a limited time, Taco Bell is offering a free combo meal when you buy a $25 Taco Bell gift card in-store. Taco Bell gift cards are available for purchase at participating restaurants and most retailers such as, Walmart, Target, CVS and Walgreens. Do note that party packs are excluded from this offer. Find a participating restaurant near you. Also, don’t forget when you buy a $30 Chipotle gift card through 12/24, then bring in the receipt on your next visit (before 12/31) for a B1G1 burrito, bowl, salad or order of tacos.